Better Service. Better Technology. Better Get Started. Our innovative site has raised the technology bar once again by bringing another first to the Treasure Valley—My TitleOne. A feature that lets you create and save your own dashboard, My TitleOne gives you instant access to heaps of information, calculators, forms and much more. As always, you can continue to expect world-class customer service and focus online, in person, or on the phone. TitleOne knows it’s more fun when you’re in the driver’s seat. 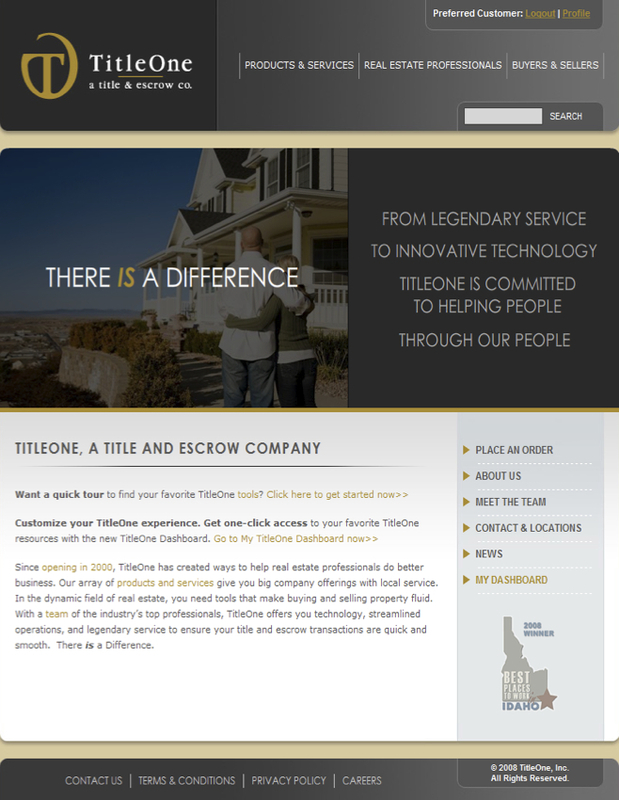 Log on today to get one-click access to your favorite tools and resources and experience the difference at TitleOneCorp.com.